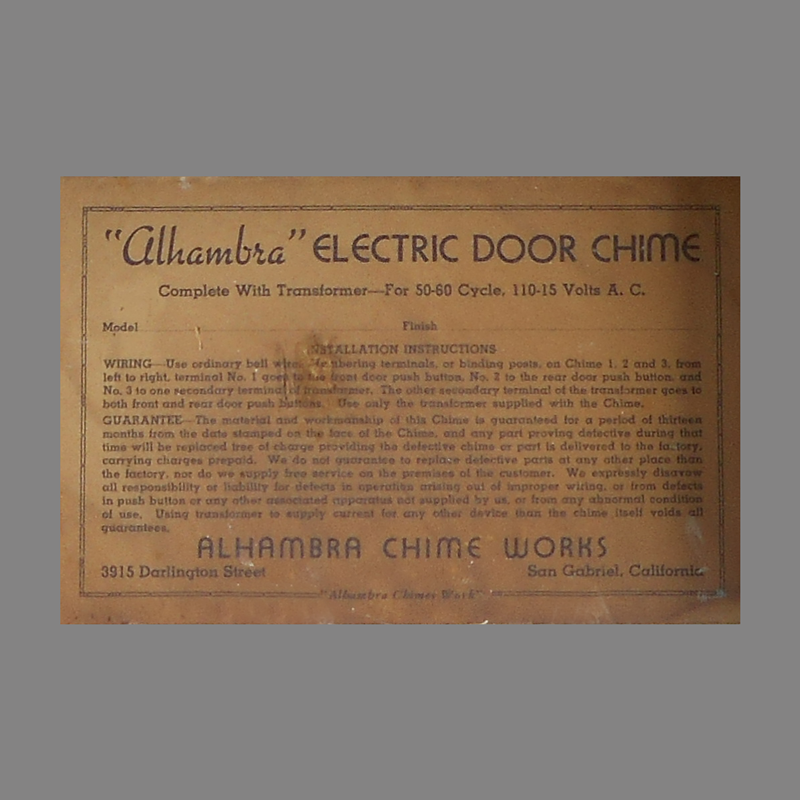 Alhambra was another California manufacturer of door chimes with factory and office in San Gabriel California. 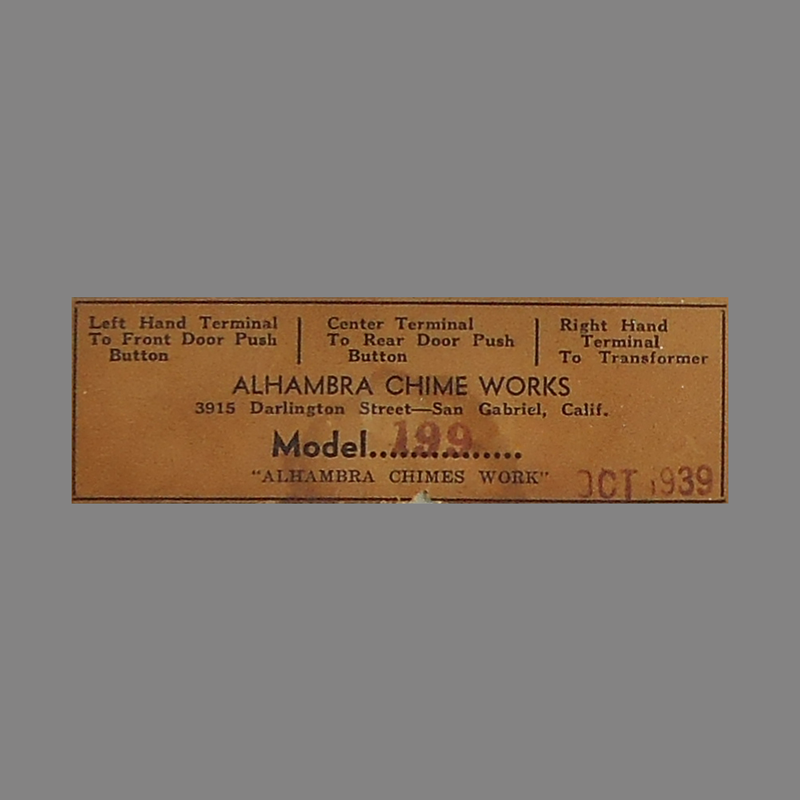 Alhambra is verified to have been producing long bell door chimes as early as 1935. 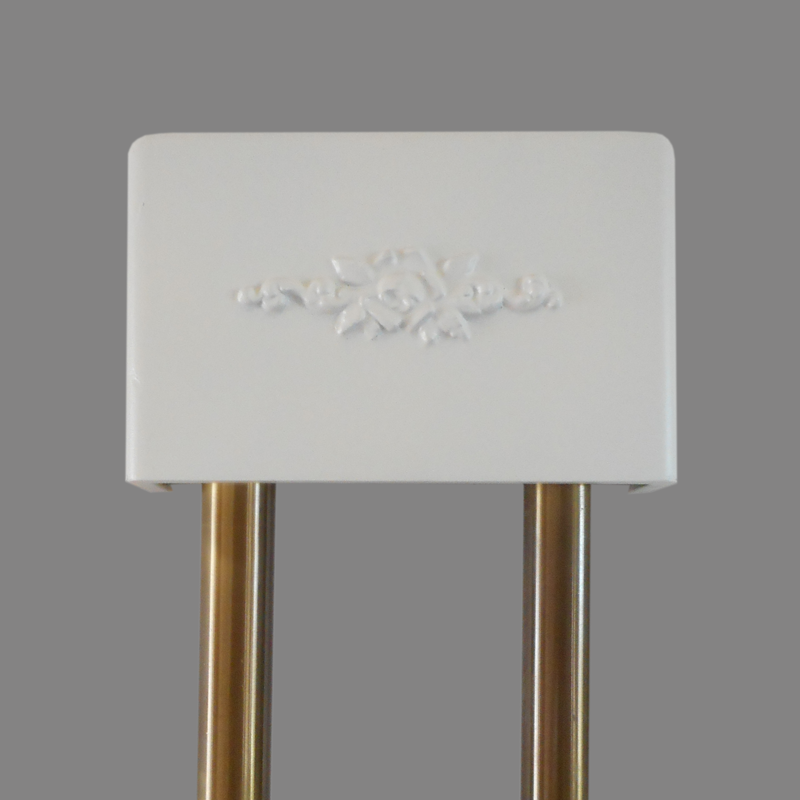 This model 199 is equiped with two bells, although the instructions reference a third bell. There is an empty spot for a post from which to hang the third bell. The mechanism employs Fahnestock wire fasteners. Sold with the tag line “Alhambra Chimes Work” in line with their thirteen month guarantee. This mechanism features two separate coils on one solenoid. Presumably the outer coil has more windings thereby creating a stronger magnetic field to power the plunger to hit both bells in sequence for “ding-dong”. The second winding produces only enough power to hit one of the bells for a “ding”. Similar technology was employed on chimes from a number of manufacturers, however the double windings were almost entirely supplanted by two separate solenoids and plungers with one restrained from hitting one of the bells in order to provide a single note. 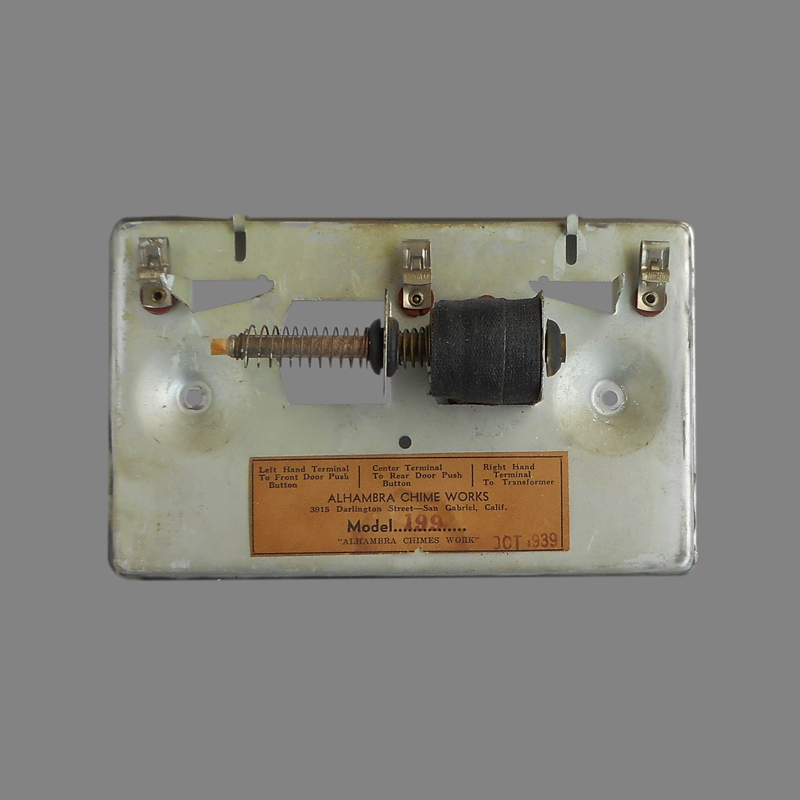 Nutone reintroduced the “double acting solenoid” in the 1950s. Cover Painted wood. Believed to be Douglas Fir. Pressed wood ornament.